1914. Vivian, a young, impassioned debutante is hurried into a pedestrian marriage to cover a scandal. War breaks out on her wedding day — domestically and across Europe. Quick to escape the disappointment of matrimony, her traditionalist husband immediately enlists and Vivian has no alternative than to take up the management and running of his estate — after all, everyone is required to do their bit. Even pretty, inadequately-educated young wives. If You go away is a lovely, heart warming story about not only a war time affair but a commentary on the societal values of the early 1900’s. One of the two main protagonists, Vivian was such an interesting character and her experiences as a middle class woman of that time was such a compelling thing to read about, the author discusses sexuality and relationships in an addictive way. 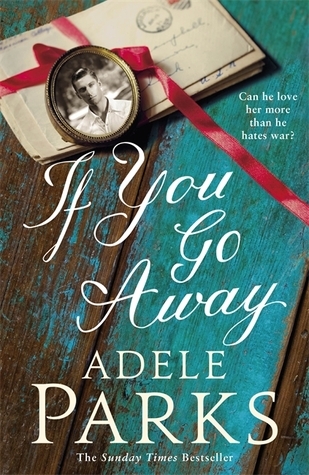 The writing style of If You Go Away made it easy to empathise with Vivian and the development of her character from privileged, naïve young girl waiting for marriage to a strong yet vulnerable woman was something that I loved. It was hard to put this book down and when I did it stayed on my mind and the lead up to the Vivian/Howard introduction kept me reading. I liked how the story wasn’t only romance focused and that the characterisation of both Vivian and Howard took the lead.